Barkers set up shop in 1972 with a store called Raymond’s, located on Auckland’s High Street. Nowadays they trade in 27 different locations around New Zealand, while also offering the option to shop online. Barkers pride themselves on their sustainable and ethical business practices, and work closely with their suppliers to ensure they maintain the same high standards. Holding a reputation in the apparel industry for delivering high quality, stylish menswear isn’t Barkers only strong point. Some of their stores even offer barista and barber services, providing a uniquely tailored experience every time you enter the store. Since putting their portfolio in Nomos One, Barkers have their property documents all in one place and can easily access them anytime, anywhere. With Nomos One, everyone that needs to access the information can access it simultaneously, which means no more hold-ups when updating their lease portfolio. With automated email reminders, gone are the days where Barkers had to manually input lease events into their calendar lest they be forgotten. Barkers also invited their lawyers to Nomos One, affording them plenty of time to work together and prepare for any upcoming changes to agreements. Through this collaborative effort, Barkers supporting documentation is always accurate and legally sound. Having the portfolio in one place and it being easy to update has meant Barkers has saved countless staff hours on duplication of effort and hunting for documents. Since Barkers implemented Nomos One, they’ve taken advantage of great features and more. Barkers use Nomos One to store their leases, lease event documents and correspondence to easily refer back to. Utilising custom event reminders, Barkers receive notifications of upcoming events well before they’re due. 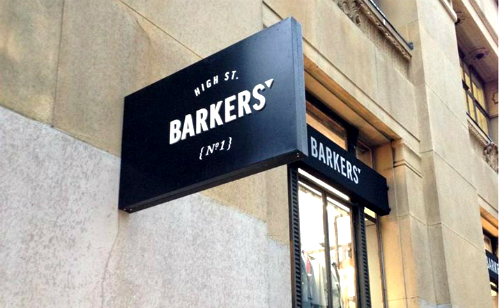 Barkers invited their lawyers to Nomos One for full transparency over their lease portfolio. With our document generator, Barkers have found the drafting and revision of lease documents to be super simple.